The conflict arose due to importation of a ship called North Sea Producer for breaking purposes to the coast of Bangladesh in Sitakunda. In addition to other toxins, a ship as that of North Sea Producer is bound to contain asbestos and radioactive materials in the form of NORM- naturally occurring radioactive materials, the management of which is clearly beyond the capacity of the country. When a Danish newspaper DAN-WATCH published a report titled “MAERSK AND THE HAZARDOUS WASTE IN BANGLADESH” on 15 October, 2016, it first came to public attention that the Vessel has been sold to Bangladesh for dismantling in the open beaches. 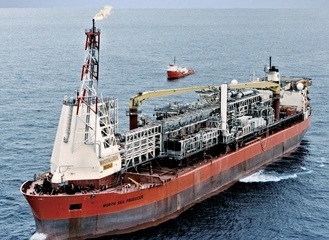 Writing on the unpreparedness of Janata Steel Corporation in dealing with an FPSO like the North Sea Producer, DANWATCH, by citing shipping international experts, also documented how cumbersome decommissioning a floating oil platform is and the fact that even a country like Denmark cannot manage such vessels that involve different and much greater requirements with respect to safety, clean-up, and the environment as there are more technical systems, pipes and inventory. As the matter came to public attention, national and international environmental and human rights groups started alleging that exporting such deadly ships without ensuring 'environmental sound management' tantamount to 'waste dumping' in the name of recycling. The groups have started legal battles, both in the country of export and import, questioning the validity of all the clearances/permissions/authorizations that have been given for import, export, beaching and breaking. They have alleged malpractice of the United Kingdom port authorities in allowing voyage of the vessel through an agent that is known as cash buyer of scrap vessels. The groups have questioned the soundness of inspection reports given by the authorities in Bangladesh that were used as basis for allowing beaching and breaking of the vessel. The breaking permission has been given in favour of the yard that has records of killing at least two workers in two separate incidences on 10 November, 2012 and 09 February, 2016. The clearances for beaching and breaking were clearly against the law of the country as the atomic energy authorities of Bangladesh found the ship to be containing radiation above permissible level. To protect environment, public health, and the labourers from the havoc of a radiated ship, a public interest litigation has been filed in the form of a Writ Petition (No. 8466 of 2017). A local environmental justice organization has filed the litigation asking for injunction on the breaking of the vessel till the case is conclusively decided and also for issuance of show cause notice upon the government actors to explain (i) the legality of the various permissions, NOCs, clearances, renewals given by them in favour of Janata Steel Corporation (Ship Breaking Yard), and for the import, beaching and breaking of the scrap ship MT. Producer; (ii) why the seller of ship/importer of the ship /owner of the yard shall not be subjected to stringent punishment for giving false declaration about the waste flow of the ship; (iii) why they shall not be directed to ensure safe dismantling of the said Vessel through engagement of impartial and foreign experts at the cost of the importer of the ship. Project Details The vessel North Sea Producer (IMO NO 8124058) was jointly owned by an equal share of Danish Shipping Giant Maersk and Odebrecht. It was built as oil tanker in 1984 at Odense Steel Shipyard-Odense, Denmark. 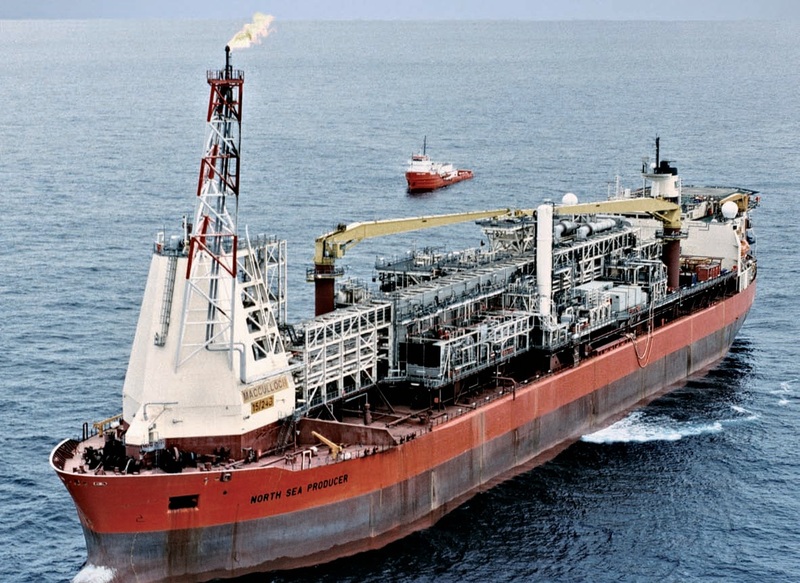 In 1996-97, the ship was converted into a Floating Production Storage and Offloading (FPSO) vessel. After serving for more than 33 years, the vessel was sold off in 2016 as MT. Producer to Janata Steel Corporation (Ship Breaking Yard), Chittagong, Bangladesh breaking purposes.The vessel weighed 52,000-tonne and was sold to the yard owner in a record price of $ 6,169,971. 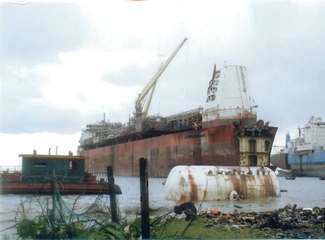 The vessel is now lying in the yard in Sitakunda Upazila in Chittagong district owned by one Janata Steel Corporation. Other Since the vessel contained NORM and the breaking of it already started, it is very much possible that the laborers and surrounding area were exposed to radiation contamination. Why? Explain briefly. The legal battles are not over yet. Again, it will be argued by the importer that since the vessel has been beached and partly dismantled, sending it back to the exporter is not the most practical solution. Also, in the absence of proper address, finding out the agency that has certified the vessel to be clean and safe for import and hence imposing sanction on such dubious and perhaps non-existent entities will be very difficult.